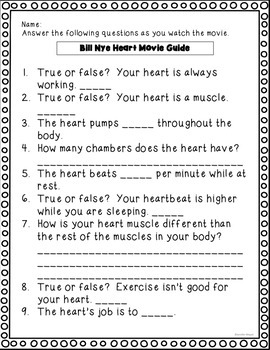 Watching a movie is a passive activity no more! 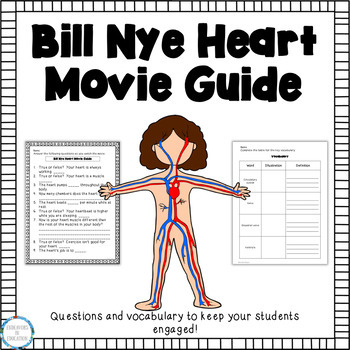 Keep your students engaged and focused on the content in Bill Nye's movie on the human heart. 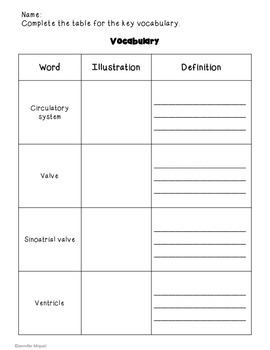 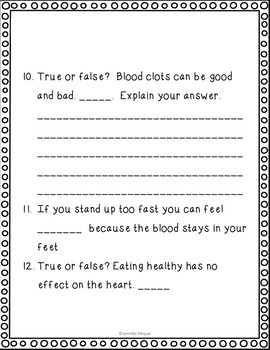 Included are two vocabulary pages and 12 quick answer questions with an answer key.